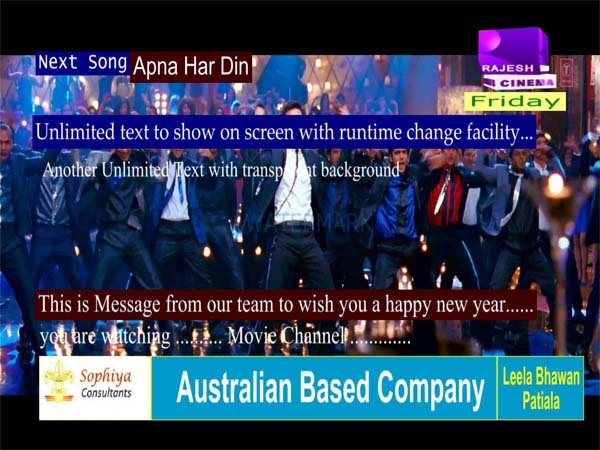 Start Music Movie News or any theme base HD / SDI Channel software. 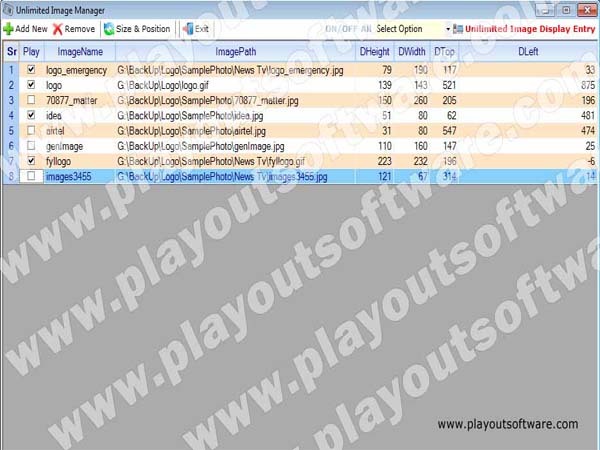 HD Movie Channel - with Twitter, RSS Feed, Online Games Score, Unlimited Logo / Graphics on Screen, Dual / Multiple Audio Selection from Video, Watermark, Video Skin, Time base / Sequence base Playout software. 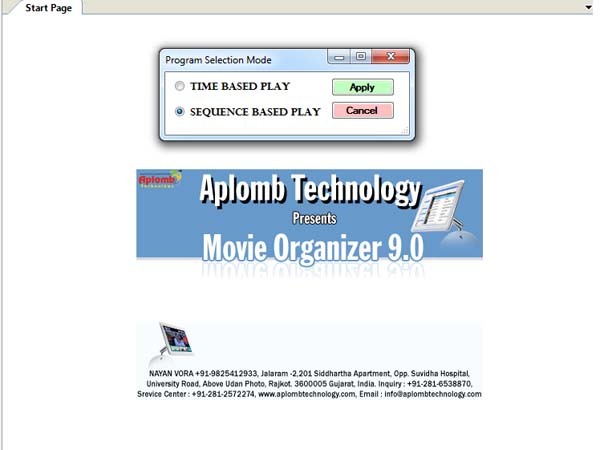 Aplomb Technology® is providing best solutions in movie playout software. Our main and well famous software used with Decklink cards. Start your HD movie channel with our HD Movie Software OR SDI Channel with SDI movie software, 4K channel software. 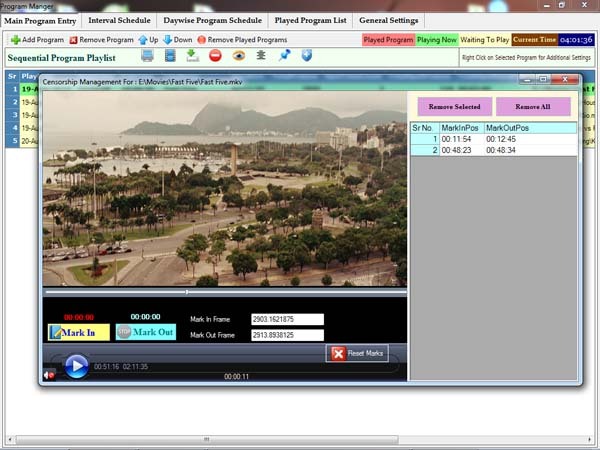 Start your own channel with our Video broadcast software; all are available - like - all in one. 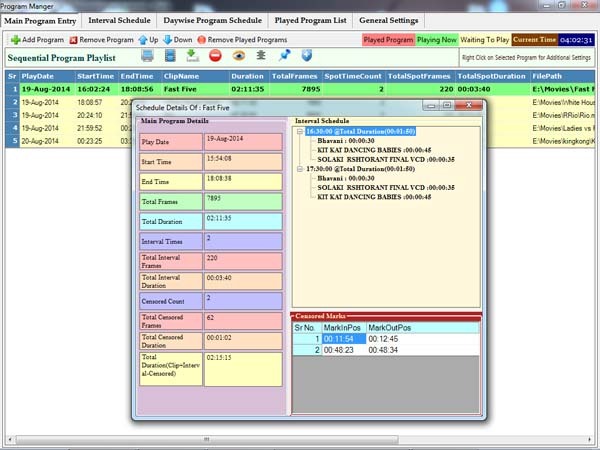 Our playout software supports Decklink Duo, Decklink studio and Decklink intensity pro cards. 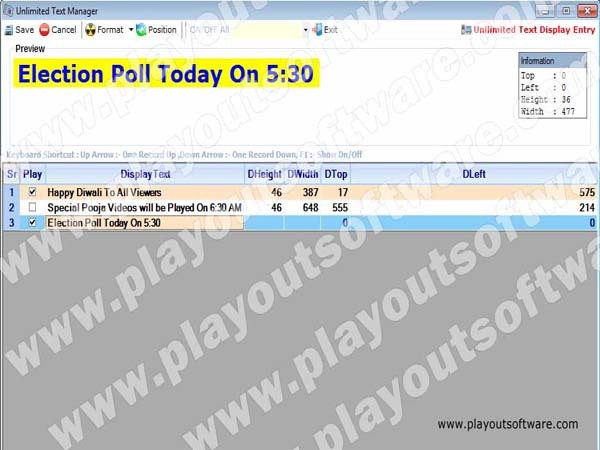 Just give a call to us on (+91) 9825412933 for Demo. 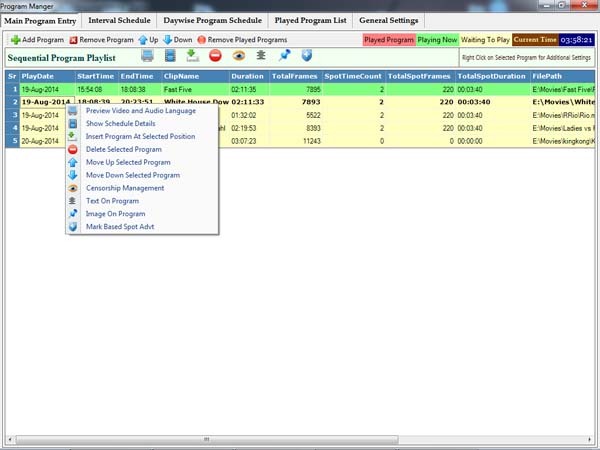 Complete Log Report for Administration Purpose, Various Exclusive Reporting for Fault Search, System Accuracy, Advertiser Feedback etc. 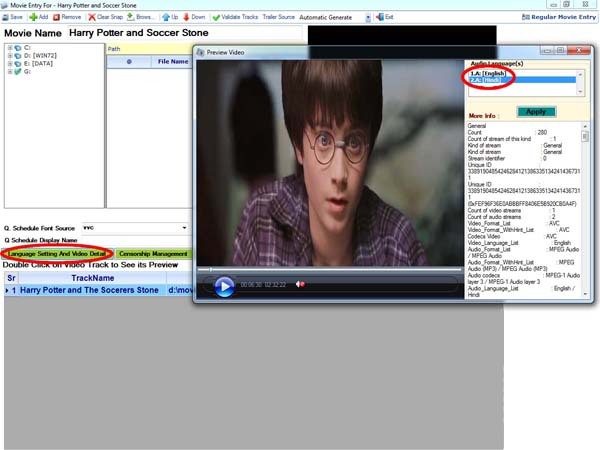 Audio switching support for dual audio videos in video entry and also switch on running video useful features for those movies downloaded from internet and having multiple Audio in single movie. You can select Which Audio play while movie playing. Censorship management support for with mark in mark out facility for videos to not display any part of video. 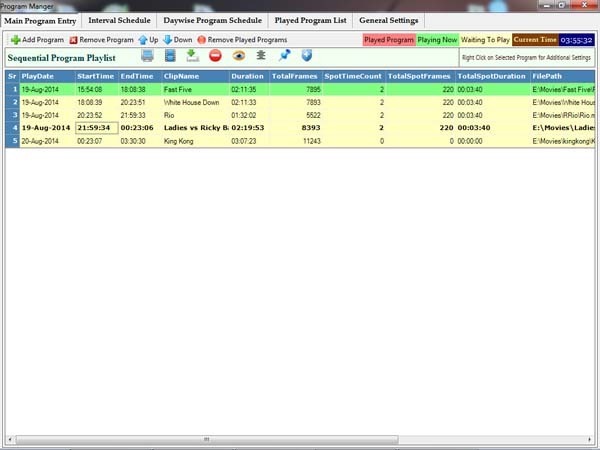 Movie schedule management with extend movie time support for next time slot. Quick schedule display for upcoming movies with your own design, e.g now, next, tomorrow, and date time. Headline text scroll display with multiple groups with separate design. 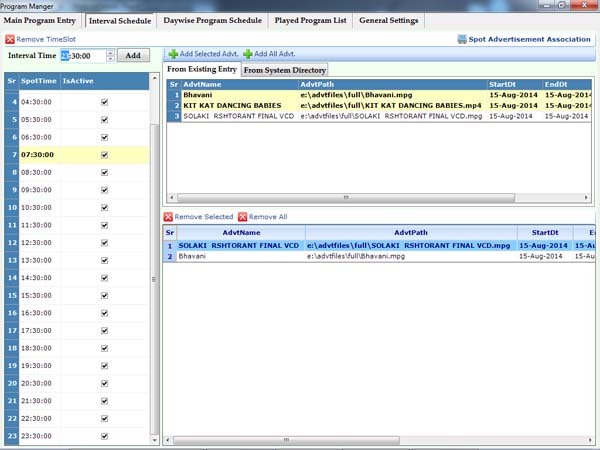 All played logs including movies, spot advertisement can be viewed, and taken in excel, pdf format. One more thing : To set Decklink card on motherboard must have slot available for that. 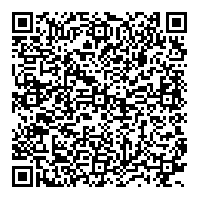 Refer below given links for complete technical specification. BlackMagicDesign has wide range of resellers you can easily track it from there website. Always Keep one graphic tv out card on the same system (Any model - ATI Radeon, Nvidia or any ) for smooth graphics on screen display. Decklink Intensity pro or Decklink studio card.